What sort of chariot shall I use on my ballpark odyssey? 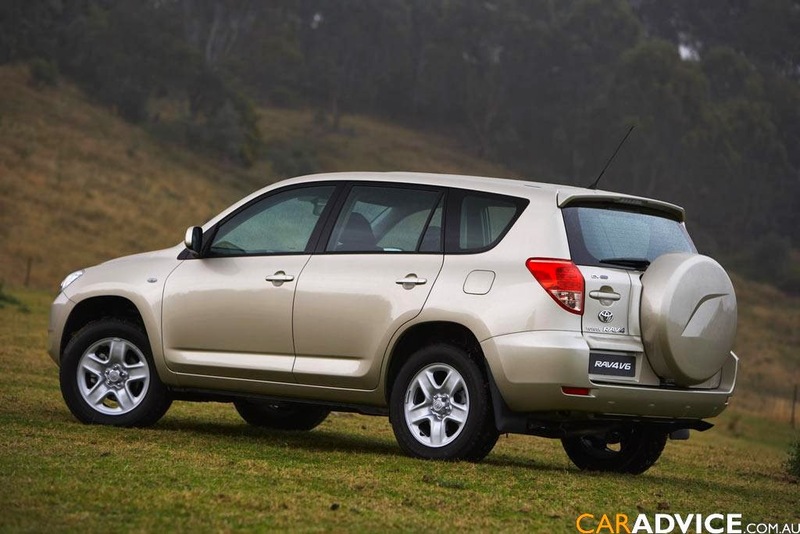 My trusty 2008 Toyota RAV4....strictly a baseline model with nothing fancy in it. A 4-cylinder workhorse that has never let me down despite the 110,000 mile plus I have put on it. 1. New front struts and rear shocks. 2. A tire rotation and alignment. 7. Radiator flush and fluid change. And just in case I get hit by some falling space junk a am pondering a AAA membership before hitting the road. Any thoughts on whether it is worth it? The ride is nearly as important as the journey because, face it, being stranded on a stretch of I-10 between San Antonio and El Paso (where you can't get an FM or an AM station when your radio is in the "scan" mode) is just not fun. Plus, for a good portion of the trip my vehicle will also double as my hotel. More on living on the road as the journey progresses. In the meantime, my motto is "be kind to your car and it will be kind to you." Road trips are expensive. And unless you are made of money you will look for ways to cuts costs. Fuel usage can only be cut by cutting down on driving or having a fuel efficient vehicle. Since you are unlikely to buy a car just for your trip you got what you got and the distance is the distance. Fuel will be a fixed cost. Lodging will be the second most expensive item on your cash outflow list. Lodging is very easy to cut, but not really for the faint of heart. Know now that unless you are really flush, if you want to go on an extended road trip you will have to sleep in your car for at least part of the time. A hotel that cost around $75 is the breaking point at which most hotels are acceptable in terms of cleanliness. Spend $50 and you will probably end up wishing you had slept in your car anyway. If you sleep only every third night in a motel/hotel for $75 that is still $750 in a month. That could fuel your trip and buy a lot of baseball tickets. Know now that your car will be your home. 1. Unless you are 20-something, arrange it so you can stretch out fully on your back. Curling up is not an option if you want to walk erect again before noon the next day. And then spend the rest of the day lamenting the next session curled up in your backseat. 2. Less is more. Especially clothing. Think about what you will be doing. Hiking, baseball games, sightseeing all required minimal clothing. A few pairs of short, shoes, undies, tee-shirts, jacket, hat, sunglasses, one pair of jeans, one polo shirt, toiletries and you are set. Keep is simple. Trust me, you will not be "going out somewhere nice" for dinner. 3. Invent an arrangement system. Book bags, laundry baskets, crates...something. Nothing is worse than looking for your contact lens solution and knowing it is in that mess in your car SOMEWHERE. 4. Get a conceal carry permit and take a gun (where allowed by law, some crazy states like California, New York and Illinois are seriously anti-second amendment). Nothing beats security like a loaded .380 under your pillow. 5. Choose your location to overnight wisely. The bouncing beam of a policeman's flashlight at 3am is not a fun way to wake up. More on choosing locations later. Keeping the noggin smooth and silky when you are on the road for weeks at a time can be a real chore. Especially when you are practically homeless. But, when living on the road, make the road your home. The video below is how I keep my head aerodynamic. Hotels are expensive. Even the cheap ones can add up on a 3 month road trip. And most of those cheap ones you wouldn't want to sleep in anyway. So how do I fund my z's? I pretty much live in my car. I did mention I was on a budget didn't I? It's not so bad really. Check out the video of my home away from home. just read this, or would have commented earlier. AAA is completely worth the $80 or sso you pay for the gold membership. I have a membership for myself and my daughter (who is always in distress). One year she was towed 4 times! Seriously, if you have a problem one time, AAA pays for itself with one call. Hope you bought it. Darn typos. Wrote that from my phone. Ugh. I've done these kind of trips a lot. I recommend two places for safe sleeping. Both have the advantages of 24 hours, washrooms, food. Parking lots of the big chain truck stops like Petro or Pilot, under one of the bright lights. Or between a couple of RVs in a wal mart parking lot. Under NO circumstances, ever, ever, sleep in a roadside rest area on the interstate. Road trips can be quite fun. It could be as simple as getting away from work for the weekend, or a full-blown vacation in different places. But one must be prepared for all kinds of situations. So it's really a good idea to make a list of everything you needed on the road. One can put everything they need to consider there, from the vehicle preparation up to their budget for the trip. That way, all you have to think about is what you'll do in your target destinations. Cheers! Abraham. Very true, the trick is know what to take and not to take. I will modify my list next time I do this. Took some stuff I did not need and needed a few things I did not have.